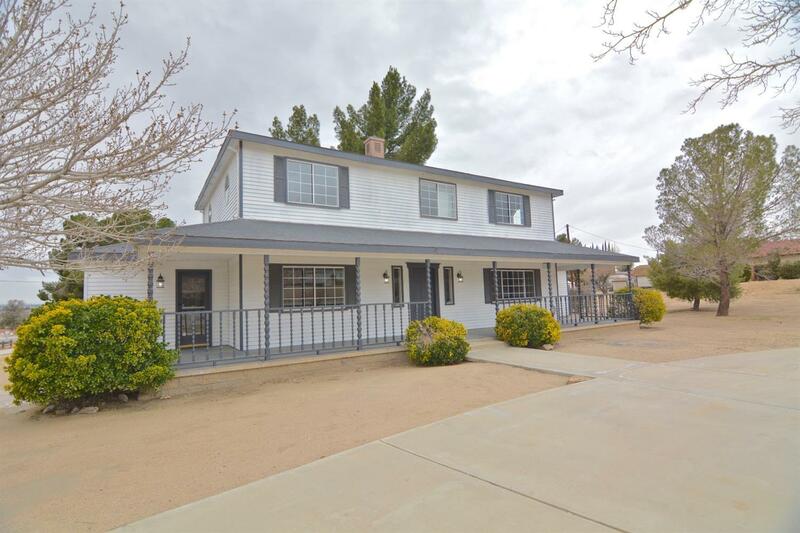 Beautifully renovated home on a CORNER lot in Apple Valley. ZONED EQUESTRIAN which means you can bring your FARM Animals. Property has a WRAP-AROUND Porch, WOOD-BURNING fireplace for those cold nights, your very own IN-HOUSE LAUNDRY Room(with a sink). Property has its own PRIVATE backyard, with a DOG RUN Area and EXTENDS beyond the fenced yard. 4 bedrooms, 3 full bath with a bedroom and bathroom conveniently located downstairs, perfect for your GUESTS. Land is just about 3 quarters of an acre. Myself or any REALTOR can give you your very own private showing.